When getting ready for the day I always check the weather to see how many layers I need to bundle up in. I am always cold so I need to make sure I am prepared by wearing a few layers in case the weather decides to change. If you know me in real life or follow my other social medias you can tell that I love a good black, white and grey look. I am drawn to wearing those colours and when getting ready for today I challenged myself to create an outfit that was greyscale but also varied in textures to make my outfit have more depth. I started with my go to favourite jeans from American Eagle. If you haven't tried these you need to seriously go out and get them! They are super soft and very forgiving with the stretch. I definitely want to invest in other colours and washes! For shoes I went with my faux leather black booties from Call It Spring. The faux leather texture give more dimension to my legs and makes it look like I am not wearing a head to toe black suit. For a top I went with this silky black t-shirt buttonup from Forever21. This article has been in my closet for years and I still find I wear it enough to keep it around! 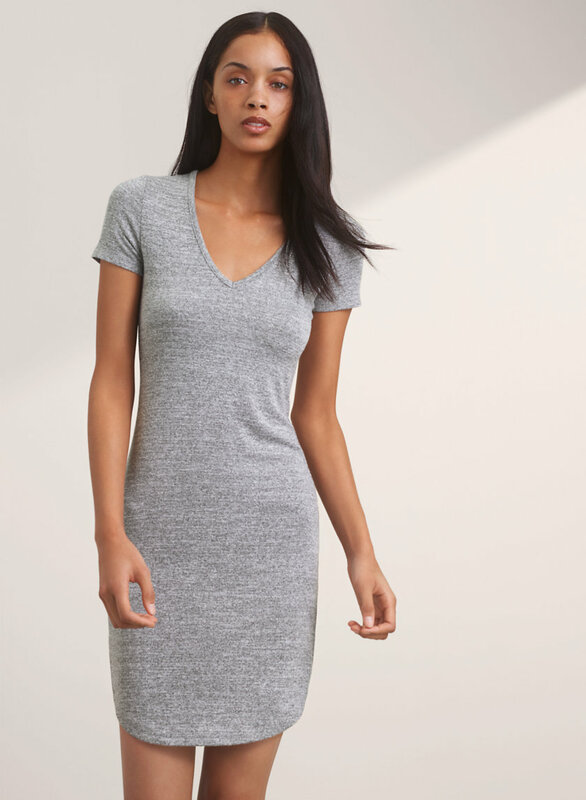 This top has the perfect boxy cut that is right on my hip bones but not too tight where it looks sassy. This top is perfect to emphasis my legs and make them look longer! To add a bit more greyscale into this outfit I went with my black and white knit cardigan from Forever21. This baby helps keep me warm when we experience this awkward middle Spring weather. Its warm enough to wear alone but doesn't make me overheat with how light weight it is. There are few things I find in Forever21 that I love and this is one of them! I cannot wait for the weather to warm up a bit and start wearing more spring attire...even though I will probably still be rocking the all black look. Let me know what type of OOTD you would like to see next! So I know it is sort of quick but I got myself an apartment that I get to move in on April 1st.... yes that is a week away! This is my first space and all though I am nervous I am really proud of myself! I am so excited to have a space of my own and so ready to decorate and organize all of my stuff! I decided to created a Pinterest mood board for the new space and collect photos of inspiration that I want to remember when trying to decorated the place. My idea is to maximise my space by keeping everything neat and clean. Everything will have a space of its own and I want to make the room light and airy so it doesn't feel too small! I know this will have to come and change as I go but this is what I am feeling inspired by! I am definitely going to be sharing my place once I get moved in and even possibly the moving process. I don't have too much that needs to be moved but I need to somehow de-construct my Ikea bed frame.... so there is that. If you want to stay updated with what I post about the move make sure you follow me on twitter, instagram and subscribe to my blog emails so you can stay in the know! I am working on a DIY nightstand project which is almost finished! That post will be up with in the next week! Have a great rest of your Easter weekend! I cannot believe how fast this month is flying by! It seems like just yesterday I was writing my post about how excited I was for March Break and the goals I set for myself! Now if you remember my winter break goal post and the updated post then you know I was pretty successful with completing my goals that I set. I am not saying that I wasn't successful this time around but I definitely could have focused harder on the goals I set! 30 Day Pilates Body Challenge I have been so proud of myself this month and excited that I have stuck to doing this challenge every single day! I thought I would have a hard time sticking to it when I was on break because I would be away but I actually only missed 1 day (which I made up the next day by doing two workouts). I find that I enjoy working out to pilates videos than I do at the gym so I have decided to cancel my gym membership and focus more on pilates at home workouts and searching for classes in the city. DIY & Pinterest Hacks I did not get around to working on the furniture hack but I do plan on working with that over the Easter weekend. As for cooking hacks I did help my best friend with making some pinterest dinners and desserts the other night so that technically counts right? I did however create a new pinterest board for apartment ideas since I am in the market for a new place to call my own. Stock Up My Blog With New Posts I took a day this break to think about what I wanted to post this next month and really plan out ideas and layouts for my blog. Be sure to subscribe if you want to stay in the know and be updated by e-mail when I update my blog. Making A Blog Video So I totally failed on this one... I was all set on filming clips from my trip and putting them together in a quick video and once we left the idea left my mind. I am not sure how I forgot about this one but when I started to write this post I was disappointed in myself. I did however take a lot of pictures and quick little videos during my trip which I posted some in my Weekend Escape post! Even though there are a few things not completed on this list I am still proud of what I did complete. The things that I have yet to check off are still on my to do list and I will be working on finishing those things in due time! I hope that everyone had a great and safe March/Spring break and if you haven't had it yet then I hope your break is full of great memories and positive vibes! This past weekend I went on a road trip with my boyfriend and a few friends. One of my friends found a great deal on TravelZoo at a Hotel up North in Walter's Falls, Ontario. None of us or anyone that we talked to had any clue as to where Walter's Falls is located but basically its up near Owen Sound, Ontario. We left on Friday morning to begin our travels and hit the road. With only one pit stop in London, Ontario we got there around 5PM where the weather was a bit chillier and there was more of a wind. The hotel was a beautiful older establishment that had the perfect view of the falls through the dining room windows. This location was definitely made to host a few weddings! The next day we set out on an adventure hiking through the Walter's Falls Loop on the Bruce Trail. Which was an adventure in itself! So many beautiful sights that you don't get to appreciate in your everyday life. We had a blast hiking for a few hours and actually wished we could do it again the next day! All of the meals at the hotel that we had were fantastic! Breakfast was maple walnut french toast with scones on the side and dinner was an amazing lobster ravioli! This trip was all about relaxing and spending quality time with some of the people I am the closest with! I am glad to have shared this memory with them and I cannot wait to go on our next adventure wherever that may take us! 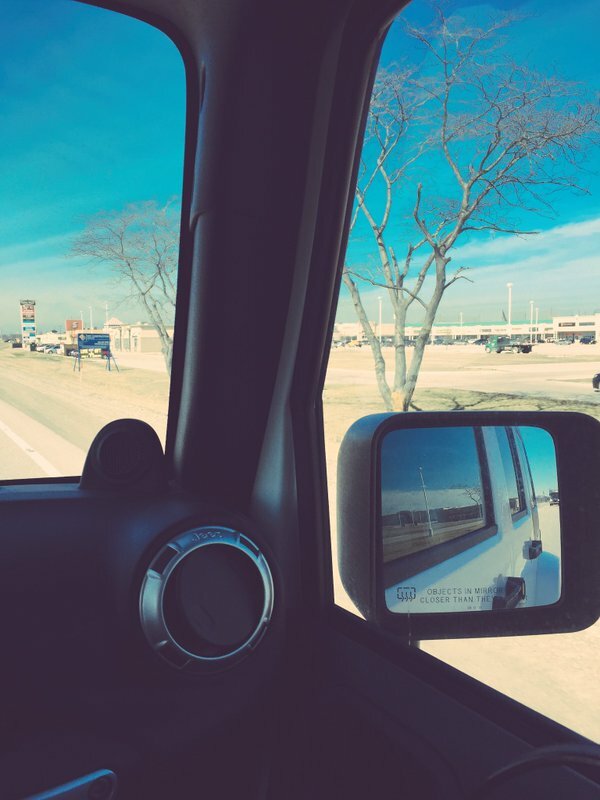 Are you heading anywhere soon?! I would love to hear about it, maybe get some inspiration for my next adventure! To prepare my body for the most flawless tan I start with taking a quick shower the morning of. Make sure to exfoliate your body as well as give a little extra love to the dry spots like ankles and elbows. After exfoliating you want to shave your legs and any hair that you want to rid your body of before you get a tan. If you choose to shave after the tan has already processes you will actually shave off most of your tan! The experience of getting a fake tan is actually pretty easy! Once you get to the lovely office of Organic Tan Windsor you discuss what type of tan you are looking to achieve at your appointment. I am pretty fair so doing anything dark would be dangerous on my skin. I decided that I would go with a bit of a glow to my skin meaning that it's not just a subtle tan that maybe people will notice maybe they wont. I wanted something that looked like I went somewhere for maybe a few days and got some life back into my skin! Once the tan level was established you head into the tanning room where you get to do a bunch of poses to make sure that while she is tanning you you are being covered in all the hard to reach areas. The tanning solution is a bit cold but it didn't seem to bother me at all! One of the things I really love about Organic Tan is that they know what they are doing and they take really good care of you. They add oil to your nails and moisturizer on your feet, hands and lips so you dont get any discolouration. I felt safe and confident that she wouldn't let anything bad happen with my tan (like my friend said become an oompa loompa!). After recieving a tan you must wait atleast 12 hours for the tan to process. During this time you must not sweat or try to get any of your skin wet or else it will effect the processing of your tan. Once you shower you will be left with a nice glow of tan to your skin. To keep this tan alive longer it is recommended that you moisturize twice a day and not exfoliate your skin unless you want the tan to come off quicker. I love getting my organic tan on! I feel that i look healthier and I have some life back into my skin. I would love to get this done monthly or at least before important events because it is such a quick easy application that takes barely any time at all! Have you ever tried an organic spray tan!? I would love to know your thoughts and experiences! This weekend was the start of my week long Spring Break! Click here to read about what I plan on doing this week! I started the break off with a brunch date at The Squirrel Cage which is located downtown Windsor. We had mimosas and Cesar's to start the day off and I wish I had a picture of my food but to tell you it was amazing would be an understatement! I ordered the eggs Charlotte which is a take on eggs Benedict but with salmon. I feel connected to this restaurant because it was actually the first place my boyfriend took me for our first date almost two years ago! We ended off our Saturday night with a get together with some friends and a quick game of Cards Against Humanity. Sunday morning we ended up sleeping in and taking our time to slowly get ready for the day. We set our hearts on eating at Toast for breakfast/brunch but the wait was too long so we ended up at this great little place called 220 Merrill. This restaurant was the perfect spot for some brunch with friends. They offered a Bloody Mary bar, had live music, bottomless mimosas and amazing eats! After brunch we headed to see a movie, 10 Cloverfield Lane. The day was pretty crummy with all the rain so picking to go watch a movie was the perfect option for us! This weekend was full of great memories and amazing food, specifically brunch foods! What did you end up doing this weekend? I would love to know! I am always looking for new and fun things to do! March Break is the time if the year where I get a nice week to relax with no work and all the time to myself to recharge and stay motivated to move forward with all of my goals. I am very envious of everyone who is going away on an exotic trip for the week (who wouldn't love to be in a warmer climate?). Even though I am not going anywhere exotic and warm I am going on a little trip for a few days with my boyfriend and a few friends (be ready for a vacation post). No matter how the weather ends up being for those days we have planned to go on a hike and spend our time outdoors. Which to be honest, I am so ready to disconnect myself from the online world for a day and spend my time with amazing people having amazing experiences. I would like to stay with doing my #30DayPilatesBody March Challenge (I feel that I may lose a day here or there but I want to focus on attempting to do all of the days during my break!) I have yet to miss a challenge day! Its not to late to start if you want to join in on the challenge! I would like to work on some DIY and pinterest hacks! I want to start my nightstand DIY as well as make another pinterest meal! Since I will not be doing anything for work I want to stock my blog up with some new posts as well as give it some TLC. There are some things I have been meaning to fix or update and this would be the perfect time to do so! Other than create great memories with friends and loved ones I want to try and capture them.. I was thinking about possibly not only taking photos of my experiences during the break but as well as a few videos. I would love to get my feet wet and jump into making some videos to post here on my blog! I know these goals are pretty simple and easy to accomplish but we all know that when we get into relaxation mode even the easiest of tasks seems like pulling teeth! If you have March Break next week I hope you have an amazing time doing things you love and creating memories with those you love! Recently I took it upon myself to attack my shoe collection and get rid of the pairs that I don't need in my life. This was the first edit to my shoe collection and possibly the easiest edit to make. This was pretty easy for me since I had a giant pile of shoes I just never choose to wear. With that said this pile formed. I got rid of the shoes that I would simply not ever chose to wear again or look like I wore way to much! I want to edit down my shoe collection to only pairs that I would want to wear with all the outfits they would apply to. The next step for me would be to edit out the shoes that do not really match anything I would wear or the shoes that are just plain uncomfortable! There are still a few pairs that I just should get rid of but I am putting them on a 3 month trial that if I don't find a time to wear them then they must go! Who would like to see an updated shoe collection? Like this post (down below) so I know you want to see an updated collection! I know I have been ranting and raving lately about how much I love the skincare products I use but I honestly have made a complete 180 in my routine and look to my skin. Flash back to winter 2015 I was never washing my face at the end of the night, barely applying face moisturiser or eye creams & only applying skincare products during my shower ( face scrub was my homegirl). Rinse off my facemask; At night I usually apply an overnight facemask so when I wake up I get in the shower and rinse off the leftover mask sitting on my skin. Cleanser; I use my First Aid Beauty Face Cleanser to wash my face, neck, shoulders and chest. I have pretty sensitive skin so this works a lot better than just regular body soap! Facial Vitamins; After my shower I spray my First Aid Beauty Vitamin Mist on my skin to add back the moisture and give some TLC to my face! Moisturiser; I then apply my First Aid Beauty Moisturiser to my face and neck in preparation for makeup. Makeup Eraser; after brushing my teeth and getting my pj's on I like to remove my makeup using my Makeup Eraser. Lip Scrub; with the winter months still upon us I like to scrub my lips everynight before bed. I use this lip scrub that was in a beauty bag. It does the trick and has a pleasant scent. Facial Pads; I like to wipe down my face and neck with these First Aid Beauty Facial Radiance Pads every night. I see a great improvement in my skin after using these and I love the results on my acne spots and scars. Lip & Eye Creams; I like to apply some eye cream, lip treatment & skin firming mask to my face and neck. I feel like this is a bonus step that I don't really feel is necessary but it will help prevent fine lines and wrinkles in my future. Overnight Mask; finally the last step to my routine is apply my overnight treatment (which I did a whole post about!). This First Aid Beauty Overnight Mask is heaven sent and I am addicted to applying it to my skin every night! This seems like a lot to do for your skincare but I honestly feel that my skin looks a lot better since I have been taking care of it! It only take a few minutes before bed and it helps to relax and calm me down after a long day! I would love to hear about your skincare routine and the products you are loving! Writing my weekend round up post is always bitter sweet! I love recapping what has happened during my days off and quality time with my friends and loved ones but it also reminds me of how fast it went and how much I am going to miss it! This weekend was pretty laid back, we didn't have many plans (other than family dinners) and sort of just went with the flow and did what we decided to in the moment. I decided to go minimal with my make-up on Saturday and skip the eyeliner..... WHAT! I am an addict to my thick black winged liner ( I even did a post on how I perfect my cateyes)! It was refreshing to change up my look for the day and it actually took quite a bit of time off my getting ready clock! Saturday afternoon we went out to visit my parents at their new house that they are currently remodelling. We had an awesome time there just hanging out and looking at all the hard work and progress that has come along since the last time I visited! I snapped a quick picture of the main staircase. I am in love with the look of the white classic stairs and the exposed wood of the walls! We ended the night with some family dinner and getting together with friends to watch the fights. Sunday morning we had some fun decorating plastic Easter eggs and lounging around the house, with coffee of course! We headed out for some lunch at a local sushi place. My OOTD consists of a denim top from Target, blush jeans from Material Girl Line at The Bay, booties from Call it Spring & watch from Daniel Wellington. I tried to add a bit of spring into the house and put out some new white tulips in my bathroom. I love the subtle change that it makes.. look forward to a decor post on Spring updates. Now winding down from a great weekend makes me feel ready to start another amazing week doing all things that I love. I cannot wait to share my journey with everyone. Time for some Davids Tea -Movie Night tea and get myself ready for the week. I would love to hear about your weekend! Post in the comments below! I know Valentines day probably sparked this interest but I have always loved having fresh flowers (sometimes even fake flowers) around the house. My Tumblr feed has been filling up with fresh spring flowers and I could not be more obsessed! 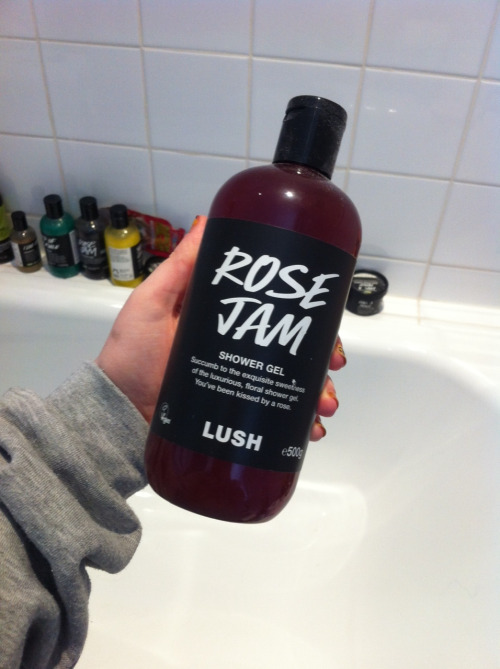 keeping with the theme I am totally loving the Lush bath items that are rose scented. I want to love the body conditioner more but I feel that the Rose Jam has it beat. The smell and lasting power of the body wash is amazing! I need more in my life! Now if you read my recent post; CLICK HERE! but I have fallen in love with the First Aid Beauty Overnight Mask . I highly recommend it if you have dry patches and stubborn spots you want to get rid of. Every morning it looks like my face just drank a big gulp of water. I am addicted for sure! I have been sticking to a pretty solid morning routine lately. I know it sounds silly to plan out my day but I find that I am more productive when I stick to my plan (plus I feel accomplished when I get a lot done). My morning routine always starts with making my bed and then having breakfast. After that it varies with what I have planned that day or need completed but I always have a large mug of coffee/tea by my side and a great podcast or youtube video to catch up on! As most bloggers I love to be organized with my thoughts and upcoming post ideas. Lately I have been using the template I created to keep myself organized from week to week and it is helping keeping everything in one place. Before using this system I would have a ton of sticky notes and loose papers everywhere that made it more complicated. I can now write all my ideas and things to do on one page and keep it organized. I would love to hear what you have been loving this past month! Leave a comment down below!! It is about that time where I update my wardrobe and I bring in new colours and textures that are light and airy for Spring. Before I create this capsule wardrobe I wanted to put together some items that I have been seeing in stores and online that I would love to be a part of my capsule wardrobe: Spring Edition. I have yet to create a capsule wardrobe in the spring or summer so with that in mind I honestly do not remember what I have packed away that needs to come out and be worn. I feel that I may be lacking in the staple pieces department and want to make sure I am covered that way. The items about are definitely staple items and would work in multiple seasons. It is still very cold where I live so I do not see myself getting my spring capsule wardrobe together yet but when I do I will be posting about it (naturally). What is on your wishlist for Spring time?